PROfessional Tools for PROfessional Jobs! We've sold Wolverine all-steel planting shovels for years now to lots of satisfied customers. With a variety of blade and handle styles available, there is a model to fit your needs. 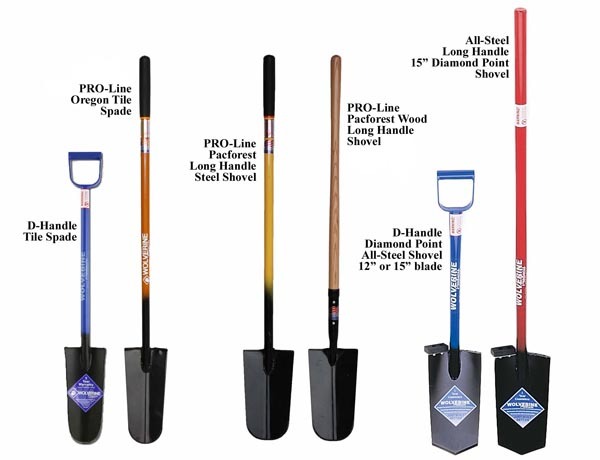 What is the PRO Line Planting Gear? Simply stated: Tools and Equipment designed and selected as the Top-of-The-Line planting tools and gear for PROfessionals. 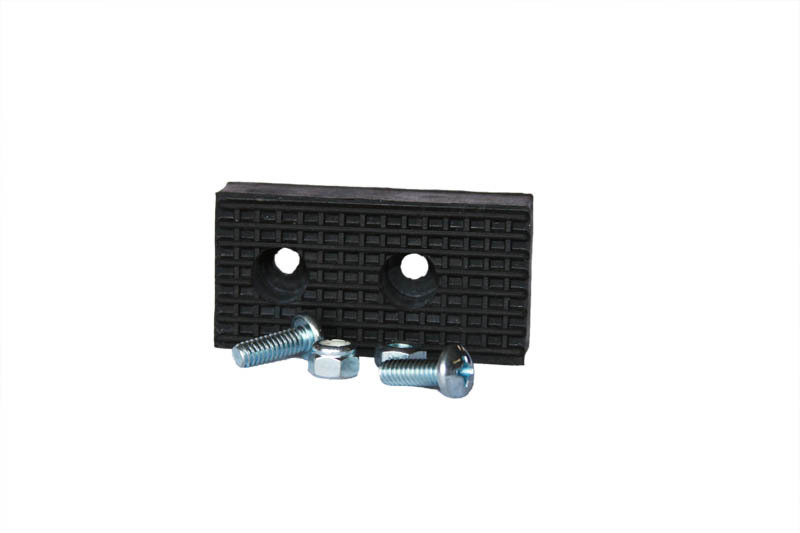 Contractors, Foremen, and Laborers alike agree -- these are the BEST on the market! FIELD TESTED -- Proven Tough!! Pacforest Long Handle Planting Shovels combine a great blade with just the right length handle. Contractor tested, approved, and recommended. Exclusively at Pacforest. All steel shovels have the Wolverine 5 year manufacturer's warranty against defects in workmanship! All Shovels come WITHOUT Foot Pads which are sold separately. 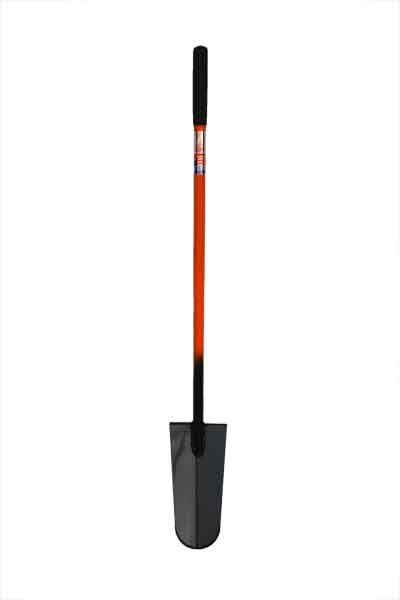 Wolverine Long Handle Shovel (extra long, Red) weighs approx. 9 lbs. 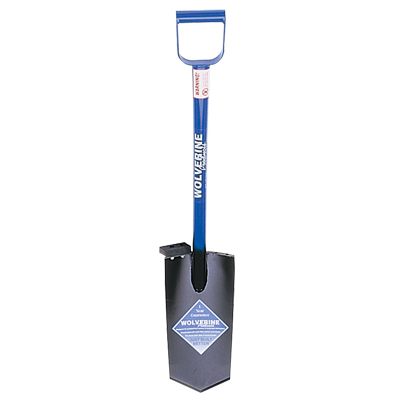 D-handle (DP) (Blue) shovels weigh approx. 7 lbs. Tile Spade (Blue) weighs approx. 6 lbs. 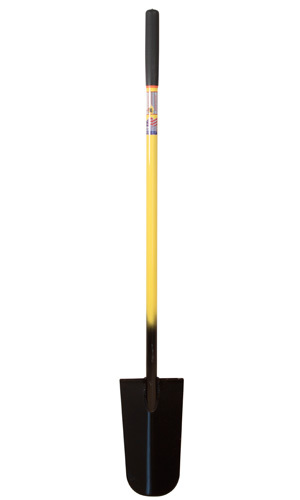 Pacforest Steel Long Handle Shovel (Yellow) weighs approx. 7 lbs. Oregon Tile Spade (Orange) weighs approx. 7 lbs. Bush Pro Hi-Baller (Orange/Blue) weights approx. 3 lbs.